Claire Brock has a degree in Music from the University of East Anglia and also studied at Drumtech, where she gained the Top Student award in 2002/3. She has many years teaching experience both privately and in schools and is proud to be a teaching ambassador for Roland UK. Her students have been members of the National Youth Orchestra and National Youth Wind Orchestra and have gone on to study at specialist music institutions such as the Royal College of Music, The Institute and BIMM amongst others. 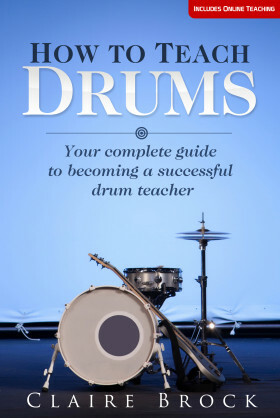 Claire has worked as a specialist Percussion Examiner for the London College of Music, where she also trained other examiners in drum kit examining, and composed pieces for their Drum Kit syllabuses. As well as doing a lot of studio work she has toured much of Europe and played with the likes of Robyn and Ex-”Sneaker Pimp” Kelli Ali.